This is the seventh national conference members of the National Pubwatch Committee have organised. This time it was held in a hotel – Whittlebury Hall, Northamptonshire. We continue to view these conferences as an ideal forum for discussing existing and forthcoming licensing legislation and regulations. Additionally, each conference offers participants the opportunity to share ideas and good practice and identify issues of national importance which they can share with their local partnerships. Representatives from Pubwatches, licensing trade associations and companies, Local Authority Trading Standards and Community Safety Officers, Police Forces, Association of Town and City Centre Managers, relevant Government Departments and others attended. Richard Matthews and Lee Le Clercq, responsible for the midland and north-eastern regions of the British Beer and Pub Association respectively, again actively encouraged licensees to attend this conference. A total of 218 persons attended. There were also 20 ‘no shows’. Delegates numbering 178, together with 40 guests, speakers, exhibitors, media and Committee members were present. A breakdown of delegates revealed that Pubwatch representation numbered 30, police 79, local authority 23 and others 86. Whilst we make every effort to encourage more members from Pubwatches to attend, we continue to find this difficult. Of the intended presence of 16 exhibitors, 15 attended, some combining their display stands with others. Delegates received a comprehensive delegate pack. The Conference opened with the first showing of a documentary film commissioned by National Pubwatch. It featured several licensees, who were victims of assault, where the offenders were Cautioned rather than prosecuted. One of our original speakers, Alan Campbell MP, was unable to attend due to a more pressing engagement. We are pleased that he was able to find a colleague to replace him. A new award, entitled the ‘National Pubwatch Outstanding Contribution Award’, in recognition of the extensive involvement within a particular Pubwatch of a specific individual, was presented to this person during this conference – see below. An outline of these presentations and Workshops can be found below. The display stands present comprised national organisations, trade and local initiatives. Each generated much interest from delegates. One of these stands displayed two versions of the proposed new pint glass, which were introduced by one of the speakers, Jeremy Myerson. The committee wish to thank all the sponsors for supporting this conference. They include the Home Office and the British Beer and Pub Association. Thank you, once again, to the Publican for agreeing to allow one of their staff, Matthew Eley, their News Editor, to facilitate the Panel discussion. We would also like to thank the speakers, Workshop facilitators and all the other contributors for giving up their valuable time. This year we again engaged the British Institute of Innkeeping with the administration of this conference. We thank both them and the staff at Whittlebury Hall, Northamptonshire, for their assistance and support in ensuring the smooth running of this conference. Finally, thank you to all the delegates, without whom this conference could not have taken place. A number a written evaluations, together with several verbal feedbacks from delegates, confirmed that this Conference was well received. As chair of National Pubwatch, he welcomed all present and thanked our sponsors and supporters. He outlined the content of this conference and introduced a new documentary film, commissioned by National Pubwatch. It featured several licensees who were victims of assault, where the offenders were not charged to appear at court but were Cautioned instead, despite some of the injuries sustained and the subsequent impact these decisions had on the victims. This film carries some powerful messages and also forms part of our ‘Court Not Caution’ Campaign, which commenced last year. Mark is deputy head of the Home Office Alcohol Strategy Unit. 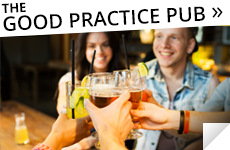 He acknowledges that Pubwatch was important to the Government because it had the same aim – ‘to achieve a safer, social drinking environment in all licensed premises throughout the UK’. He gave an overview of their initiatives throughout 2009. This included fifty two-day enforcement seminars in priority areas, a £1.5 million partnership support programme in these priority areas, new powers to tackle underage drinking, sales to under 18’s plus irresponsible promotions in the Policing and Crime Act and the introduction of Drinking Banning Orders, on application, which will also soon be available, on conviction. He then outlined what is intended for this current year. This includes the roll out of the new Policing and Crime Act powers, a new campaign with DCSF to tackle under-age drinking concentrating on confiscation, under-age sales and proxy sales, a push on Drinking Banning Orders to tackle those individuals who cause most trouble, the implementation of the new Mandatory Code and a continued push on training enforcement agencies and strengthening partnerships. As lead officer for alcohol licensing issues within the Association of Chief Police Officers (ACPO), and having been present when the documentary film mentioned above was shown, he dispensed with some of his presentation, replacing it by referring to some of the content of this film. He stated that licensees are one of the best police officers as they recognise due diligence when serving the ‘noxious’ substance of alcohol. Referring to the above film, he acknowledged that it was relevant to have this ‘Court Not Caution’ voice and debate, particularly where there are aggravating factors present, such as when violence is used and alcohol is involved. He added that both the police and the Crown Prosecution Service should be working together on this also. He then posed the question, ‘What would we like our town centres to look like in ten years time?’ He mentioned some examples of good practice, including Purple Flags (similar to the Blue Flag for beaches), Best Bar None and the BIIAB schemes. Currently, there is a perception, and sometimes a reality, that going out and socialising is not safe. He then introduced the analogy of football stadiums a number of years ago and referred to the discussions taking place then that they would become all-seating and safer. This has now happened, so why can’t city centres become similarly safer also? He stated that the demographics of this nation are changing and could it be that there are too many vertical-drinking licensed premises, or even too many licensed premises? Working in partnership can achieve a lot because alcohol is here to stay, so we need to manage it. As the Director of the Helen Hamlyn Centre, Royal College of Art, he explained that the Royal College of Art in London are working with the Design Council to deliver the alcohol-related strand of the Home Office Design and Technology Alliance ‘Designing out Crime’ programme. The first work phase was to bring a pilot solution to the problem of ‘glassing’ or ‘bottling’ attacks to market in 2010. A press launch was held the Friday preceding this Conference, so for our delegates, this topic is ‘hot off the press’. It was therefore decided to make changes to the great British pint glass, which was recognised as a very sensitive area steeped in heritage. Recognition was given to the comments made regarding plastic and toughened glass. Such comments included that the beer did not taste as good in them, they did not feel like glass, were expensive, had a short shelf-life and scratch and cloud after several dish washings. Thus, it was decided that both design and behaviour change was required. Innovation, rather than legislation for inferior alternatives, was the way forward, where creativity was harnessed. Wide consultation took place, with National Pubwatch taking part. Wide canvassing also occurred, a group of experts convened and workshops held. Four ‘briefs’ were given – Glass Plus; I Love Plastic; Under the Radar Safely; The 21st Century Pint. The first and last ‘briefs’ were chosen. Glass Plus has a clear plastic film applied to the inside of the vessel. It therefore still feels like glass. Inside it is softer for stacking purposes and can also be branded. The cost is similar to toughened glass. The 21st Century Pint has a twin wall of glass with resin filled in between. It keeps beer colder for longer but is slightly heavier. He concluded that design thinking can address crime problems, with the preferable choice being innovation, not legislation. Violent Family – such a family was bullying the local community, resulting in the pub being closed for three years. Whilst he acknowledged the value of CCTV, he recognised that investment into it is expensive, particularly for tenancies. Therefore his company invested in it instead. In one case, the community have found a suitable licensee where a pub was closed. In another case, where the original licensee was at fault, he was actually charged the rent while the pub was closed. He acknowledged that Best Bar None and the BIIAB are very good schemes. In order to highlight the changes he has observed in alcohol misuse, he mentioned the Australia Hotels Association findings earlier this year – that drugs rather than alcohol are fuelling violence in licensed premises. Thus, a sole alcohol-related strategy is increasingly dated. He also believed that alcohol and drug-related violence in the home and drug driving will also increase. In summary, he stated that problems are resolved when interested parties work together, that it is important to be proportionate and target challenges and that the pub industry is both aware and committed to addressing these problems. Commander O’Brien agreed to present this new award to David Lalor of the Station Inn, Derby. This new award is given by the National Pubwatch Committee to an individual who we believe has made a significant contribution to their local Pubwatch scheme. David has worked in the pub trade for over 25 years, has been actively involved in the Derby City Pubwatch scheme for 23 years and has been their Chairman for the last 15 years. He is a well respected member of the licensed trade and is recognised by the local police and community safety partnership as someone who can get things done, always with humour and a professional and considered approach. We wish to thank Enterprise Inns and Todd & Cue for sponsoring the event. The winner this year will receive a trophy and a year’s free insurance for their scheme. Mark Worthington gave an overview of the role of a Pubwatch, introducing how they undertake banning individuals, the sharing of photographs of banned persons, the appeal procedure and the benefits of being part of a Pubwatch. Stephen Walsh explained some of the legal issues that have arisen from two recent Judicial Reviews, in which he represented the pub company, J D Wetherspoon, on both occasions. Both cases involved a banned person challenging in the civil court a Pubwatch decision to ban them. Mark raised the issue of who from each licensed premises should be a member of their local Pubwatch, e.g. the manager, the premises licence holder, the Designated Premises Supervisor or another person. He then explained that a decision by a Pubwatch to ban a person is not a punishment for the offences committed by that person, but is a means to protect a licensee, their staff and customers from anti-social behaviour by the person concerned. This is notwithstanding the right of a licensee to exclude any person from their premises for whatever reason, provided it does not breach any anti-discrimination legislation. He further explained that all member premises delegate the responsibility to ban to the Pubwatch itself, that this responsibility may be delegated by a member to another responsible person and that a request for a ban made to a Pubwatch must be made by a member. In relation to the use or sharing of photographs of banned persons, a licensee may use their own taken from their CCTV, or other cameras, if they are registered under the Data Protection Act. They can also use photographs of a banned person if it is provided by the banned person themself. Sometimes this occurs if they are seeking a reduction in the period of their ban. Police photographs can also be used if a Pubwatch has a data sharing agreement with their local police. Where these photographs are provided, each member should sign for them, keep them in a private, safe and secure place and have them viewed only by staff members. Additionally, these photographs remain the property of the police and should be returned to them when requested. Pubwatches should also consider having an appeal procedure when imposing bans and ask themselves why it is needed, how complex should it be and should they accept a written or oral representation from the banned person. It is actually good practice to have one as it shows proportionality. Stephen Walsh then outlined the meaning of a ‘public authority’ under the Human Rights legislation and how two recent Judicial Reviews, brought by banned persons, challenged the role of both Pubwatches involved. This occurred because the local police – being a ‘public authority’ – had some involvement with their Pubwatch in both cases. If these Pubwatches were found to be such a ‘public authority’ by the court they would have been subject to both damages and costs. In 2008, Buckingham Pubwatch banned an individual for assaulting his girlfriend in one of their premises, being ejected and then, whilst outside these premises, assaulting a member of staff and damaging a pub sign. These offences were not reported to the police. He returned the following day and paid for the damage. Police assisted the Pubwatch with some of the subsequent correspondence from solicitors representing him. He alleged that the banning decision was unfair as it was like a kangaroo court, with no right for a fair trial and no human rights. This case went no further than a verbal hearing. It was found that this Pubwatch had no constitution and no rules but were a collection of well-meaning people. They were not an unincorporated association and were volunteers. Additionally, it was established that, as the involvement of police was so minimal in the banning decision, this did not ‘stand up’ in court. In 2009, Haverhill Pubwatch banned two individuals for fighting inside one of their premises. One of the offenders alleged that police were involved in the decision making process, that they cajoled licensees into joining it and disciplined those who did not. They also provided some funding. This Pubwatch had a constitution and rules but these had not been seen for many years. Thus, it was argued that this was too loose an organisation to be a ‘public authority’. However, the Judge at this earlier hearing disagreed because of the police involvement. Hence this went to a full hearing where it was found that licensees can refuse sale to anyone and that a group of licensees can do likewise. 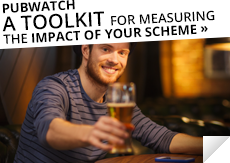 Where police, the local authority and other similar bodies join a Pubwatch, it depends on their degree of involvement as to whether the Pubwatch can be regarded as a ‘public authority’. Their involvement in this case was not sufficient to be regarded as such. Additionally, the Judge supported the National Pubwatch Good Practice Guide, which encourages the involvement of the police and other public bodies, although these bodies must not be involved in their decision making nor put people up for banning. It was also acknowledged that National Pubwatch is also against compulsory Pubwatch membership. A lively discussion followed on a range of issues arising from the above two civil cases. 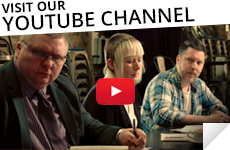 Peter Fulton, a BIIAB approved trainer and also a licensee, introduced the need to understand that knowledge is power, to have a balanced view, to develop personally and as a team and to have forward thinking, thus considering what is coming next. There are a number of recent changes that affect the licensing trade, whether is be legislation, regulation and even the credit crunch and continuous bad weather we all have experienced. We therefore need to adapt to change. He suggested that delegates consider the different reasons for which each person attended this Conference. For licensees, they certainly want to run a profitable business. He added that it was important that one understood the wider picture because ultimately we wanted safer premises, safer streets and safer towns and cities. Engagement in partnership was one method with Best Bar None being a positive initiative. We needed more education rather than legislation so why not improve your personal skills. Is there relevant training available in your area? Several examples were given, some of which may even be funded. He also recommended keeping up to date with the activities of such organisations as National Pubwatch, the British Institute of Innkeeping, the Institute of Licensing, The Morning Advertiser and the Publican. Emma Lawrence introduced Drinking Banning Orders (DBOs), which came in force in August last year. They are available, on application by police forces and local authorities in England and Wales, as part of the Violent Crime Reduction Act 2006. However, Exclusion Orders still remain in force and have not been repealed. DBOs have been introduced to address an individual’s alcohol misuse behaviour and protect others and their property from such behaviour. It was recognised that alcohol misuse behaviour was a strong contributory factor in many criminal offences. DBOs can be applied to individuals 16 and over. Magistrates courts, acting in their civil capacity, and civil courts can impose the order for between 2 months to 2 years, plus other provisions, such as attending approved courses. Such Orders can also ban that person from entering and purchasing alcohol in licensed premises and drinking alcohol, being in possession of an unsealed container of alcohol or being under the influence of alcohol in a public place. The applicant is required to consult other chief police officers and local authorities in whose areas the individual may have frequented or resided and the prohibitions must be specific. There are rules regarding what evidence would be acceptable in support of the application. Interim DBOs can also be applied for if it is believed that persons or property are in urgent need of protection from the individual. The main view expressed by delegates was that no one has yet had the opportunity to complete the approved training requirement as it was so new, and that there was no custodial sentence attached to such an Order. Kate Shaw and Aidan Harris introduced the role of the British Transport Police (BTP), Work Place Violence Unit. Firstly, it was explained that in 2002 Transport for London (TFL) identified the need to support frontline staff dealing with aggressive customers. It was clear from the start that BPT & TFL had no idea of each others roles. So the formed a co-located team drawn from BTP officers and TFL staff. 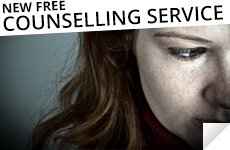 They than worked with victims treating them as an asset and valued, offered witness care and ensured they were looked after during the reporting of crime and kept fully updated during the Criminal Justice Unit stage of the process. This has resulted in an increase in reporting but also an increase in convictions. It was soon clear to see that if the investigation is handled correctly, and the victim is treated with care and kept fully involved in the process stage, then the case went to court. There are also similar environmental issues – heat, crowding/personal space, lighting, noise – together the ‘broken window’ effect and the effects of alcohol. They mentioned the Circle Line effect where a drinks party took place on the day when the drinking of alcohol was banned from the Underground. One needed to identify the scale of the hazard and the harm coming from it. An integrated organisational approach was implemented with the view to reducing the risk of problem incidents, resolving conflict when problems arise and managing the aftermath. Over 10,000 train, station and revenue control staff have an exposure to violence with 1,600 assaults and public order offences committed against them each year. Verbal and racial abuse feature highly together with threatening behaviour and assaults. This leads to a high employee turnover, high sickness and absence rate directly related to incidents and high reported sickness due to stress. This leads to increasing negativity towards customers, diminished morale and decreased performance. It was found that support for staff from the management and the police service was crucial. Planning and communication were key. Research found that there was little information on prosecutions and little feedback with courts seen as forbidding places. Additionally, the police had other policing issues to contend with, their investigative skills were not harnessed and they blamed the CPS and courts for failures. There were improvements in the perceptions of support, self-reported wellbeing, attitudes to service users and work attitudes. There were also reductions in staff turnover intentions. Further initiatives included the use of ‘spit kits’, a repeat victim process, working with witness services and the Crown Prosecution Service and Workshops and briefing sessions. However, this is work in progress which requires constant reinforcement. CCTV evidence in licensed premises is some times of poor quality or the staff do not know how to work it properly. Some police officers do not understand the issues faced by licensees and some licensees do not understand the role of the police. Delegates suggested that a positive way forward is for Pubwatches, the police and licensed trade to build links together and form and understanding to ensure a good service delivery was followed by all of them. Ongoing dialogue was also very important, where the police keep the victim fully updated at all times. It was very clear that there were some lessons to be learnt from the way BTP & TFL worked with victims. Through working with Community Safety Partnerships, Pubwatches could spread this message and work towards reducing assaults on licensed trade staff. The Panel comprised Mark Cooper, Stephen Walsh, barrister, Robert Bult from the Design Council and Martin Rawlings from the British Beer and Pub Association. It was facilitated by Matthew Eley, the News Editor of the Publican. Mandatory Drinks Code and its Conditions, where Mark Cooper acknowledged that the delayed collective agreement between the relevant Government Departments led to shorter Parliamentary procedure time, due to the forthcoming General Election. However, there was time to work through the outstanding issues prior to the publication of these statutory conditions on the 6th April. Some delegates expressed their concern that while sellers of alcohol to under-age persons were being prosecuted, those buyers were not. Glass Plus, which was the sprayed version, would be piloted and hopefully available within twelve months, whereas the 21st Pint Glass would take longer. Stephen Walsh He believed initiatives similar to ‘Light Night’ in Leeds City Centre would develop where arts and activities take place. This changed the atmosphere there leading to the community reclaiming that locality. Martin Rawlings He feared that few public houses would be left, with the menus like a telephone directory, plenty of security and wine served in 10 ml glasses. His hopes were for more working together in partnership. Mark Cooper He believed that the British Crime Survey would show an ongoing reduction in anti-social behaviour and drunkenness. Robert Bult He believed that the exciting pint glass project was a ‘win-win’ for everyone and that the UK drinking environment would become more like the continent. The number of completed evaluation forms collected was 66, although some did not complete all the sections. This corresponds to just over 31% of the persons attending this conference, much lower last year. This figure rises to just over 36% when the number of delegates only, were taken into account. Feedback from delegates, both written and verbal, was extremely positive and constructive. Delegates also identified tasks they wish to research and perhaps develop and undertake locally.